Clemson was named No. 1 in the College Football Playoff Rankings Tuesday night, followed by Auburn, Oklahoma and Wisconsin. Former top team Alabama fell out of the Top 4, sliding to fifth. The Crimson Tide was upset by Auburn last Saturday, 26-14. The Tigers, who were also named No. 1 in the Associated Press Top 25 Poll, also moved up with sportsbooks on their chances of winning the national title. The Westgate Las Vegas SuperBook had them at 20-1 before the season and Monday saw them lowered to 4-1. They join Oklahoma and Alabama at that mark. Auburn is next at 9-2. 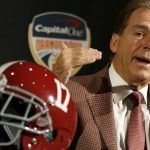 Coach Nick Saban’s team had been the favorite with oddsmakers until two days ago. The 2016 titleholder was the preseason pick at 3-1 and at one point dropped all the way to 4-7. Losing to then No. 6 Auburn last Saturday was a blow to Alabama. The defeat knocked them out of the SEC Championship game. The No. 5 Crimson Tide now have to sit at home and hope that they get help from other teams. 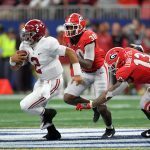 Coach Nick Saban still believes that his program deserves to be in regardless of what happens the last week of the season. He told reporters after the loss to the Tigers that he believes they’ve earned a spot. “I think this team deserves the opportunity to get in the playoff by what they’ve been able to accomplish and what they’ve been able to do,” he said. 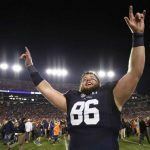 CFP committee chairman Kirby Hocutt said Tuesday night that the rankings are some of the closest he has seen since the system was instituted in 2014. The last major conference team that is undefeated is Wisconsin but despite winning 11 games the committee and oddsmakers don’t believe the squad has a chance to stay in the top four spots. 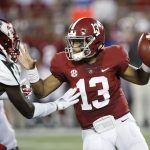 The Badgers were a 40-1 pick in August to win the championship and have moved to 10-1, but have worse odds than teams who are ranked lower than them, including Georgia and Ohio State. Wisconsin will face the Buckeyes in the Big 10 Conference Championship game Saturday and find themselves a 6 1/2-point underdog. Ohio State is currently ranked eighth and have two losses on the year. The Badgers are hurt by a weak schedule, where they only played one ranked team. If the Buckeyes defeat them that would probably allow Alabama to move up a spot and grab a seat at the CFP table. 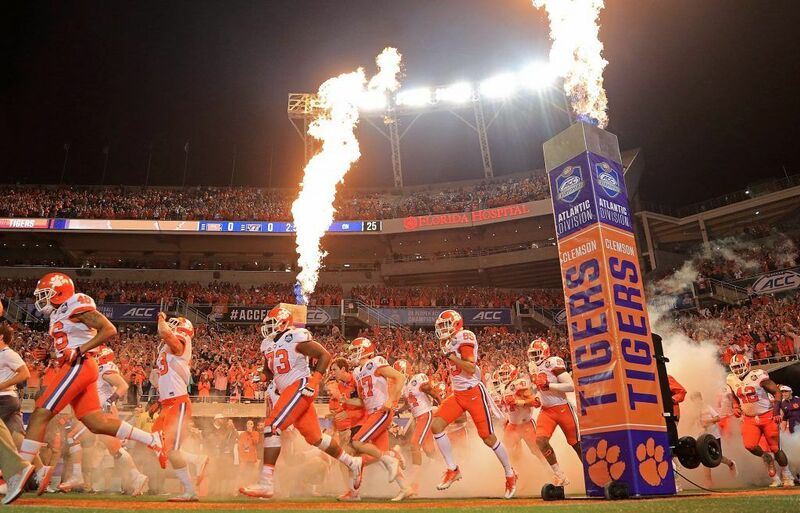 They could also be the beneficiary of Georgia taking care of Auburn, Miami upsetting Clemson or TCU upending Oklahoma. Those scenarios seem less likely, however. Auburn defeated the Bulldogs earlier in the season, 40-17 and are giving away 2 ½ points in the SEC Championship game. Miami defeating Clemson would probably get the Crimson Tide in, but the Hurricanes are 9 ½-point underdogs in the ACC Championship game. Oklahoma is the other team that if they lost would help Alabama’s cause. The Sooners are facing Texas Christian University in the Big 12 title game and are 7-point picks to defeat the Horned Frogs. Oklahoma has the advantage of beating TCU earlier this season, 38-20 at home.